As a digital medium, email is perpetually evolving with the newest trends. To be the best email marketer possible, it’s imperative to keep up with the latest news, and there’s no better way to do that than with statistics. Using the latest stats on email marketing, you can get a sense of where the industry is, and more importantly, where it’s going. 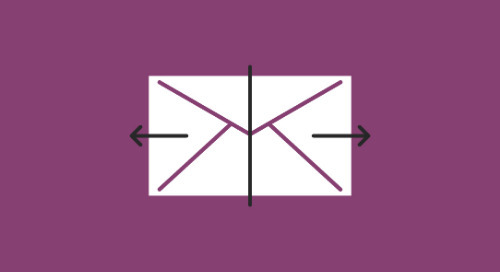 Here are some of the latest stats on email marketing and why they’re important going forward. The latest email engagement stats. When it comes to engagement, email is as strong as ever. Even in the age of social media, emails continue to pull through for marketers. With these numbers alone, it’s obvious that even the age of social media, email remains one of the most viable platforms for reaching customers of all ages. That said, these numbers are averages. A target audience of a certain demographic is probably less likely to be found on email than Instagram or Twitter. But as it stands, that younger demographic doesn’t quite have the prevalence in the marketplace yet to push out traditional emails. The latest email automation stats. Email automation has quickly become a must-have in the marketing space. It allows you to create various types of campaigns, and target demographics at specific times on a consistent basis. And those are just a few ways it can be used. These uses for email automation aren’t just fancy ideas, either. They’ve already been put to good use. Conversion rates for B2C marketers who use email automation have reached 50%. The open rates for automated messages run about 70.5% higher than regular business emails. If you think that’s high, the click-through rates are 152% higher. Those kind of numbers are hard to argue with. With 82% of marketing companies—both B2C and B2B—using email marketing technology, it’s clear to see that not only is automation already a necessary tool, but it will only become even more prevalent in the future. As artificial intelligence and machine learning become more advanced, automation will be able to run more complex algorithms, targeting people for increasingly specific reasons. Currently, email automation can send out emails if a user visited your website but didn’t purchase anything. In the future, automation could easily send an email that pertains to behavior exhibited on the exact pages the user visited. The latest email personalization stats. Like automation, personalization is already a huge part of email marketing, but it’s only going to become more involved and advanced. It started with adding the recipient’s name in the subject line and has grown to include dynamic links and branching emails. These personalization techniques prove successful because people are more likely to engage with an email is tailored to them. If the email feels too universal or generic in a full inbox, it’s easy to dismiss and delete. Imagine someone making eye-contact with you versus someone using a megaphone to talk to a crowd you happen to be a part of. For the latter, you wouldn’t hesitate to walk away mid-sentence. But ignoring a one-on-one conversation with eye-contact is much more difficult. Always make eye contact. The content of your email isn’t the only thing you should be personalizing, either. Personalized subject lines raise the likelihood of your email being opened by 26%. Additionally, web pages have been proven to benefit from personalization with a 20% spike in sales. While it might be easier to send out mass emails in the hopes that you’ll catch a few eyes, you’re far more likely to have success if you employ personalization. There are a few ways to go about this, such as HTML code and marketing software. The latest mobile email stats. As you might expect, email on mobile mixes things up a bit. The nature of a mobile device simply incites a different kind of behavior than a desktop computer. When you’re sitting at a computer, you’re usually primed to ingest long-form content. However, when you’re browsing emails on your phone, you’re looking to browse, scroll, or consume quick information. Anything that looks too long and time-consumptive, you’re likely to save until you’re at a desktop—at which point you’ll probably forget—or ignore it altogether. Nonetheless, people still interact with mobile emails at an astonishingly high rate, which is likely due to its accessibility. As a matter of fact, around 53% of all emails are opened on phones and tablets. Yet, going back to the difference between mobile desktop, 23% of readers who open an email on mobile will open it again at a later time (likely at a desktop). This is backed up by another piece of data: 1 out of 3 clicks that occurs on an email is made by a mobile user. This means that while more people are opening emails on their phone, people are more likely to interact with those emails on a desktop. If you’re still not convinced that mobile phones are a viable place for email marketers, they’re bringing in new users at a growth rate of 20% per year. To put this in perspective, the growth rate of the internet stands at just 10%. The latest email ROI stats. Though there are many stats that go into email marketing, it’s the ROI that many find most important. After all, getting a good return on investment is largely the entire point of email marketing. Thankfully, the ROI for email marketing hasn’t slowed down at all. The average ROI for email marketing is 3800%. Not too shabby. To put it in another way, putting just $1 toward email marketing can haul you $44, based on averages. You don’t have to be an oddsmaker to see a sure thing like that. That said, the most ROI (77%) comes from emails that are a part of personalized campaigns, whether they’re segmented, targeted, or triggered. That means personalization is a massive part of bringing in a good ROI rate. Information has always been power, but it’s never been as true as it is right now. When it comes to email marketing, the more information you can get, the more you can course correct based on the latest trends and metrics. Of all the digital marketing strategies that need to keep their finger on the pulse of the people, email marketing is at the very top. With these takeaways from the latest metrics, you have all you need to take your email marketing into the future. Now that you have access to all this information, you may be wondering what to do with it. Here’s how data can help you with email design.